Those who declared apps dead years ago can comfortably take a backseat now. Apps are very much here and doing great business year after year. New technologies are transforming lives, every day. Things that sounded like sci-fi are a reality today. From banking and retail to home automation and security, apps are making our life easier by the minute. In an age where personalized services are the only way to a customer’s good books, location-based apps bring a whole new dimension to the picture. Getting hotel recommendations from nearby hotels the moment you land in a new city, receiving a discount coupon from the department store if you are in its proximity and getting personalized traffic updates and alternative routes before you step out of the house are all examples of location-based services. Nine in ten smartphone users use their phones to location-based information like directions or nearby places. This is the one service that sees massive adoption across all age groups. 2018 will see technologies like Geo-fencing and location-based services (LBS) take on a whole new meaning with Indoor LBS and vertical positioning. Startups will look to exploit technologies like beacons, proximity sensors, and geomagnetic fields to create advanced solutions for daily life. You never know, your smart-car could automatically turn on the heating in your home as soon as you are close enough, so the home is warm and cozy when you step in. AI remained in the limelight for the better part of 2017, and we don’t expect the buzz to go down anytime soon. 2018 will see some ambitious AI projects come to life. More apps will integrate AI-powered chatbots to provide customer support. More AI-powered personal assistants will be developed that extend a bevy of highly personalized services, which feel like they can read your mind. From predicting what you want to eat today or what kind of music you need to hear right now, AI will be everywhere, answering emails to curating news for you. IoT too has already made its impact felt over the last year. 2018 will see increased adoption of IoT across verticals. From home automation to healthcare, IoT will become a part of your daily life to a large extent. The larger impetus this time will be on enhancing data security, as companies will be hard-pressed to manage a massive volume of data. Newer technologies like edge computing will be deployed to help reduce the burden on the cloud and make more sense from the data. Technologies like artificial intelligence and machine learning will work together with IoT to provide intuitive services. Overall, IoT will see immense growth and innovation all through 2018, making for some pretty exciting apps. If the Oculus Rift, PlayStation VR, and HTC Vive caught your fantasy in a vice-like grip last year, there will be plenty to feed your enthusiasm this year. You can look forward to wireless VR making it possible to enjoy your favorite virtual reality games without a bunch of cords. Several companies including HTC, Lenovo, and Oculus announced their wireless plans at the CES 2018. Not missing the opportunity to make this technology accessible to the larger public on their smartphones, top manufacturers have announced headworn devices that will let you use your smartphones for a VR experience. Augmented reality kept its promise and made shopping easier with virtual trial rooms and other augmented experiences. The year 2018 will see these augmented reality experiences even more rich and realistic. While VR will still take some time to become a reality for everyone, as it needs special hardware, AR is a whole lot more ready to impress. 360-degree videos, virtual shoppable showrooms, virtual real estate and others will be a big market trend in 2018. Enterprise mobility has increased by leaps and bounds in the last few years. Organizations will be seen focusing much more on security solutions for the enterprise in 2018. As the BYOD trend is only going to go up, enterprise mobility management will see the integration of all major technologies like AI, IoT and machine learning. For long, smartphone users have used their credit cards and debit cards for making online payments, all the while hoping for a faster and safer solution. In Future, Mobile payments and digital payment apps will be that solution and see far more adoption in 2018. In addition, wearable devices too will adopt mobile payment solutions. Customers increasingly demand high-end customer support solutions, but having a dedicated staff on the phone at all hours is a model rapidly declining due to its inefficiencies. Expect apps and businesses to develop AI-powered, intuitive and highly intelligent chatbots solving these problems for good in the coming year. From home automation and security to energy conservation and traffic monitoring, motion sensing technology will see wide adoption in 2018. Motion sensing gaming apps that utilize gyroscope and accelerometer will become more mainstream. Cloud computing has been the very backbone of information technology and in the coming years, several new solutions will surface as the demand for data management explodes. Expect to see hybrid clouds and multi-clouds to take over remarkably. 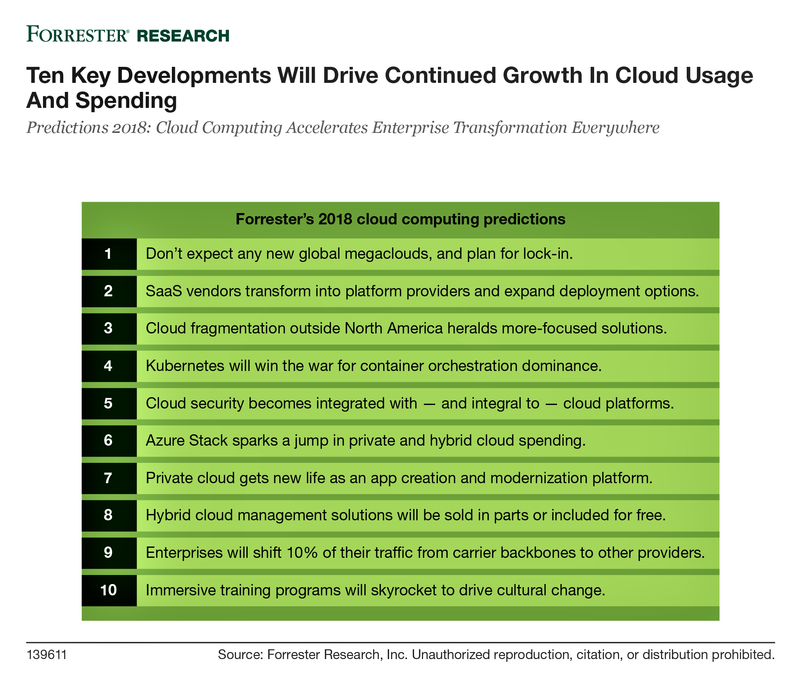 Forrester predicts that Amazon Web Services will capture 76% of all cloud platform revenue by 2018. So those are some of the trends that will define app development in 2018 and give new and emerging startups plenty of opportunities. The consumer is more than ready for the biggest innovations and there is always a better way to solve a problem. So as Apple said in the WWDC Keynote 2017 – keep making apps, the world is depending on you. Ravin Lad is a Growth Marketing Strategist at MoveoApps, an iPhone app development company. He enjoys writing about technology, marketing, and business trends. He is a tech enthusiast and loves to explore new mobile apps. He can be found on Twitter @RavinLad.